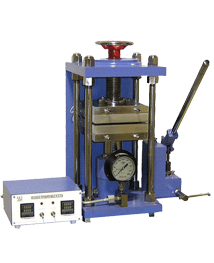 Environmental Stress Cracking Test (ESCR) - S.S. Instruments Pvt. Ltd. The procedure of test for cracking due to environmental stresses on electric polyethylene insulation or sheath of cables. Certain polar liquids, such as greases and lubricants, when come in contact with either polyethylene sheath or insulation cause cracks, This phenomenon is termed as environmental stress cracking and the degree of cracking is dependent on melt flow index of the polyethylene compound used. This test indicates whether correct grade of polyethylene compound has been used or not. 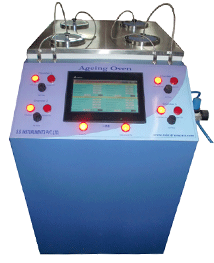 Water Bath fitted with digital temperature indicating controller. Specimen Cutting Die for ESCR Test. Nicking Jig for making controlled imperfection in specimen. 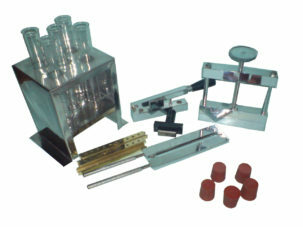 Specimen Holder – 5 nos.